Our goal is to make your pet stand out in the crowd and to provide him with the best comfort he ever felt in a Collar. 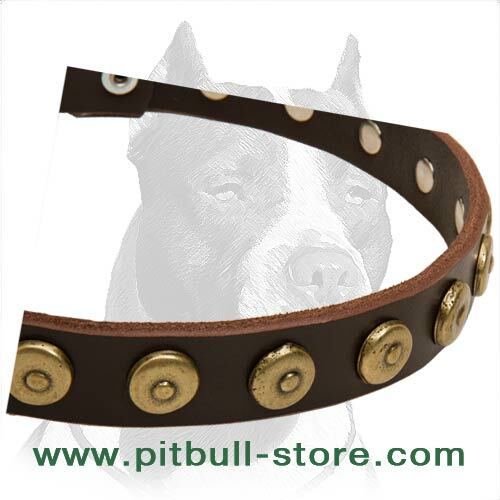 Luxury leather Dog Collar can diversify your Pitbull’s wardrobe and life. Distinct design that exudes style and impeccable taste. Strong and extra durable item that will tirelessly reward the eye. Reliable protection for every day. This Collar is made of special Leather that undergoes a combination tanning process from century-old tanneries. Oiled for better flexibility it will serve you for years. Excellent Quality of fittings provides secure fit and convenient use. The D-ring comes first and than the buckle for more strength. 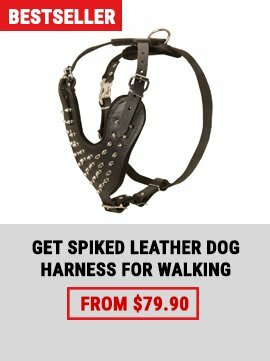 A beautiful addition to any dog’s wardrobe. 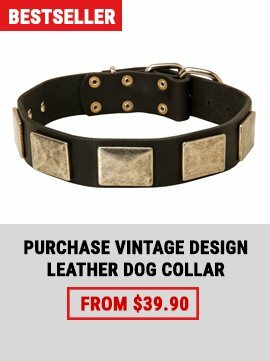 This Collar has just striking design! Neat brass circles with dots inside are so sweet and chic. Every stud is set with a rivet to ensure you will never loose one of them. 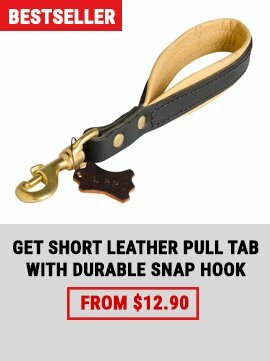 The gloss of pure leather and nickel-plated steel fasteners will impress everyone around. 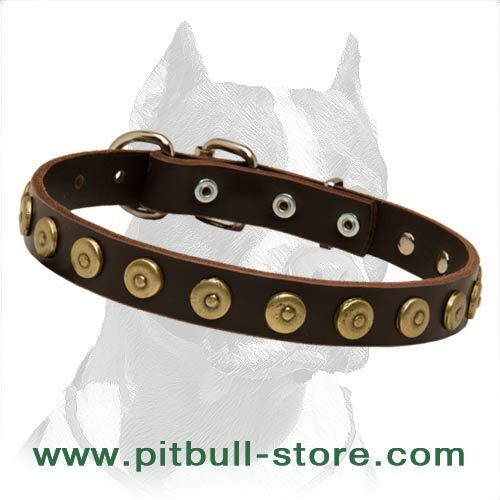 Walk safely and stylishly with our designer Collar!